A team of Android programmers has raised a $7m (£4.3m) investment to turn their hobby project into a rival to Google's phone operating system. The CyanogenMod (CM) lets phone users swap the official version of Android for one that gives them more control over their phone or tablet. It has reportedly been installed on over seven million Android devices. The investment has helped found a company to employ the coders, who have been working on the project unpaid. Cyanogen Inc will be based in Seattle and have as its technology chief Steve Kondik, who did a lot of the early work on the Android mod. Installing the mod lets Android owners clean out unwanted apps and programs put on a phone by manufacturers and mobile operators. 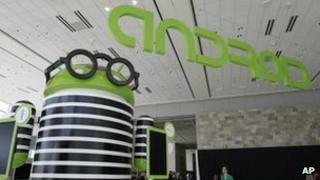 In addition, it gives them access to apps and features developed solely for Cyanogen. The first job of the company, wrote Mr Kondik, was to make a universal installer that eased the process of replacing the official Android code found on a phone with Cyanogen. The current installation process was "hideous", admitted Mr Kondik, adding that the new installer would be available in a few weeks. Taking a longer view, Mr Kondik said the goal of the company was to outdo Google and create an operating system for a phone that was "actually designed by and for the people who use it". "We think that the time has come for your mobile device to truly be yours again, and we want to bring that idea to everybody," he wrote in a blog on the company's website. In a separate blogpost Mitch Lasky, one of the venture capitalists who helped raise the cash, said Android's growth was opening up opportunities for companies such as Cyanogen that could improve on the experience provided to users by Google, handset makers and operators. The fact that more than half of all Android owners ran an old version of the operating system showed there was room to improve that experience, he added. "We believe that CM is poised to become one of the largest mobile operating systems in the world," he wrote.